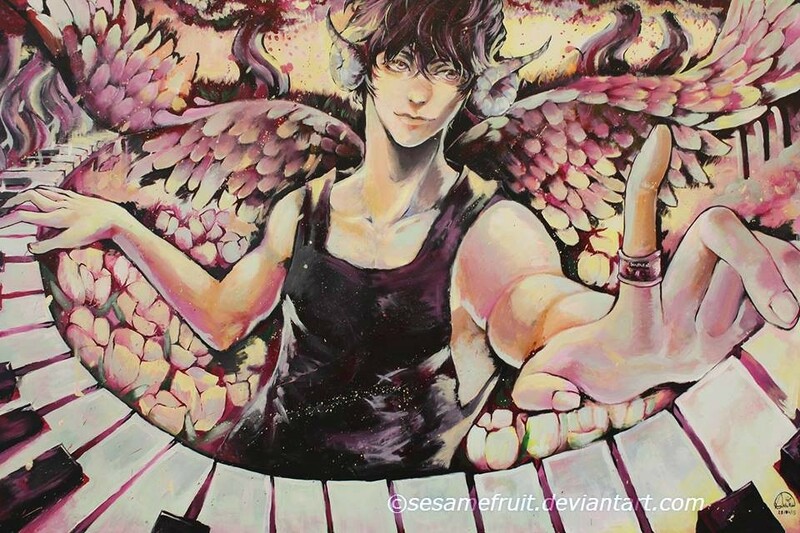 This is a painting I did for a mall kekeke, it's 7ft by 10ft my god and it took forevaaa My friend named him Shiro!<3 But mayn this was a good experience for me since there was a lot of criticism even before I was done. My advice to people painting in the public is to stick to your idea and don't let others smack get to you while you didn't even finish the piece. Just put your headphones on and let the inspiration do the work! FIGHTING!! This is stunning! Great job!